After the business meeting on Tuesday February 18, 2014, we will have a "stay and sew day." 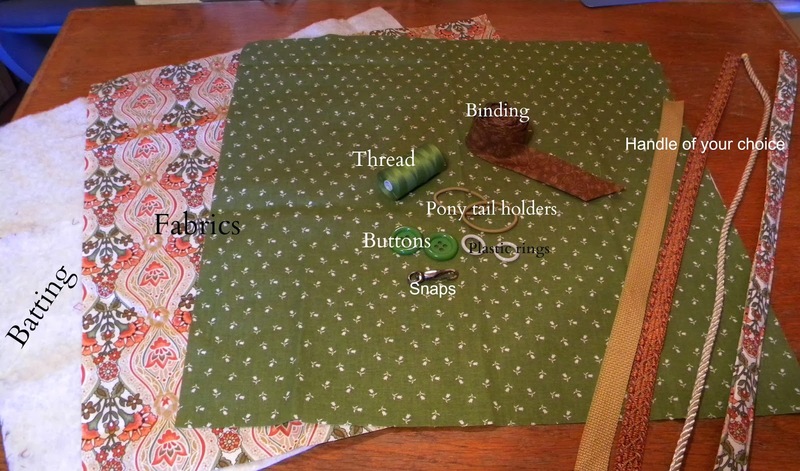 Doniene Fullagar will be the instructor for how to make the quilted clutch/purse she showed us last month. She will have complete instructions to hand out at the meeting. Bring a sack lunch or we can order PIZZA ! 2(two) - 20”-24” squares of coordinating fabric. 1(one) - 20”-24” square of batting. 2 ½” x 36” strip of fabric & 2” x 35 ½” piece of batting to make a fabric handle. two snaps and two plastic rings and Coordinating Thread. Needle and Thread for any hand work. Plan to stay, we will have FUN !